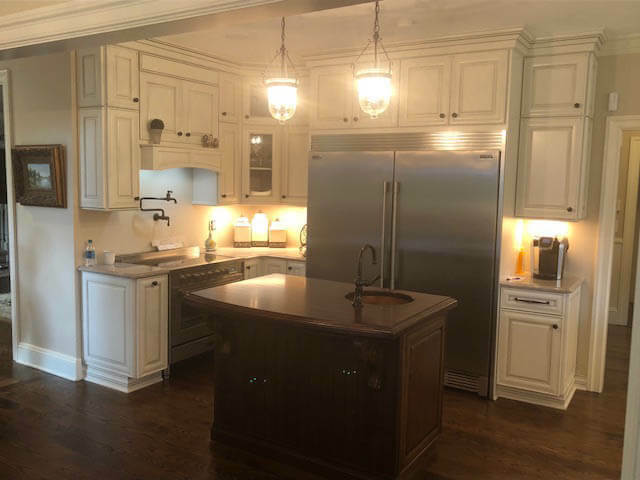 Designed by Cathie Emery of our Sims-Lohman Elyria location, this kitchen started off as a very small enclosed area with a breakfast nook tucked into potential kitchen space. It was renovated for a family that has SIX boys! They needed more of everything, from cooking areas to cleaning stations, and of course storage! With limited square footage, Cathie designed a functional space for this large family that fit all their needs. 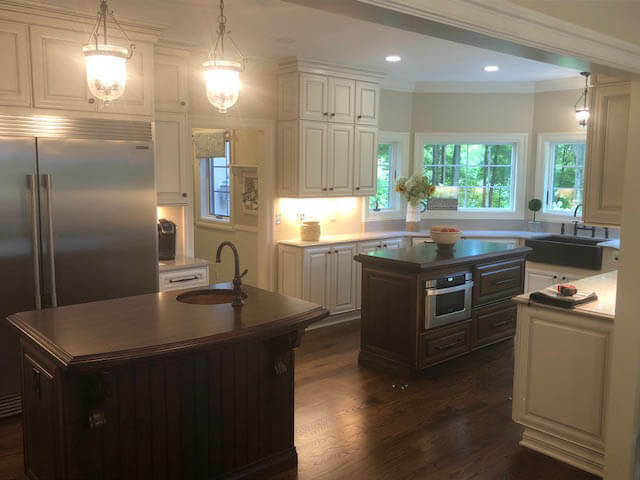 The design includes Kemper Cabinets with a Kalahari Granite Perimeter and Solid Cherry butcherblock islands. The first steps were to eliminate the eat-in breakfast area and lift the windows above countertop level. 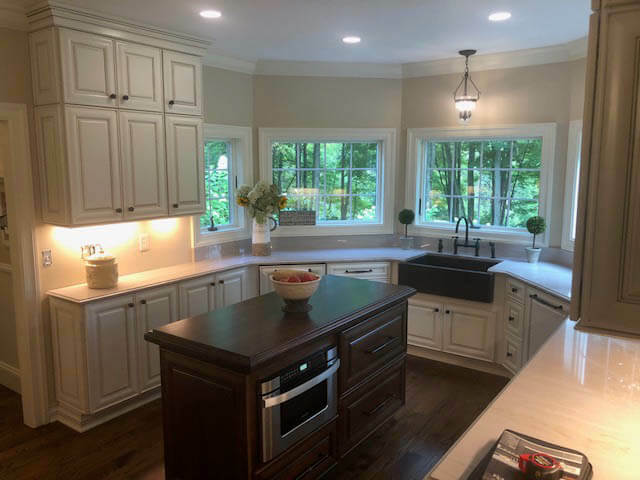 The client wanted to keep the natural light, but create plenty of space for cabinets. 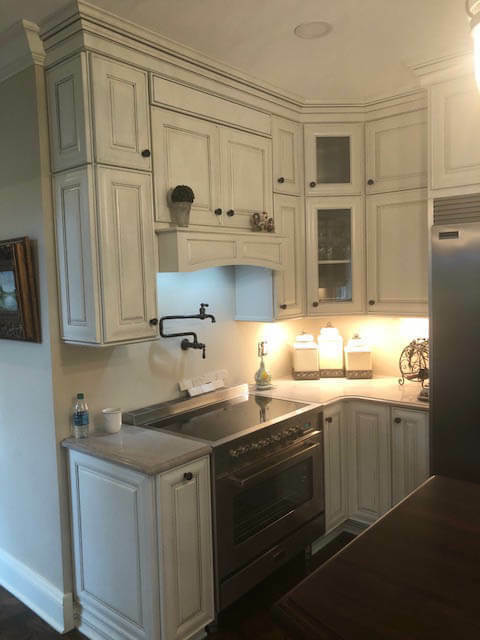 Since this space is so long, narrow and also staggers with door openings, multiple islands, and multiple sinks became mandatory for the best use of this uniquely shaped kitchen. Multiple surfaces and appliance locations allow for several activities to be taking place in the kitchen at one time. The double stacked cabinets allow for storage to be utilized from floor to ceiling which keeps unused space to a minimum. 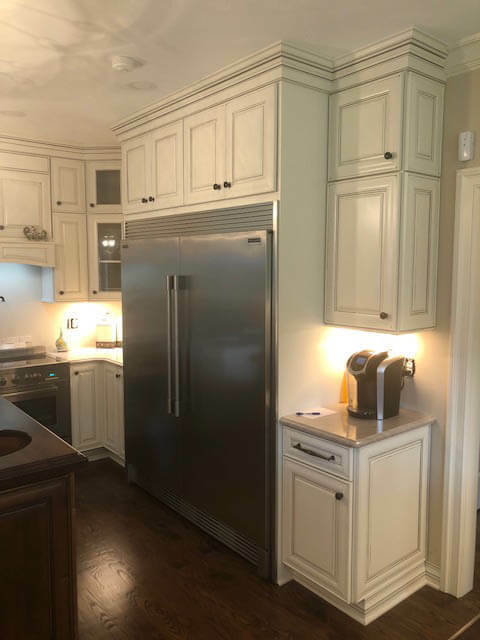 The over-size freestanding range, in place of a cooktop, and double ovens allow space for the extra-large refrigerator. Double dishwashers with custom panels keep the appliances from appearing too heavy. Not Just White and Gray! The double thick 3” custom cherry butcherblock adds a bit of elegance and a bit of height to the center workspaces. 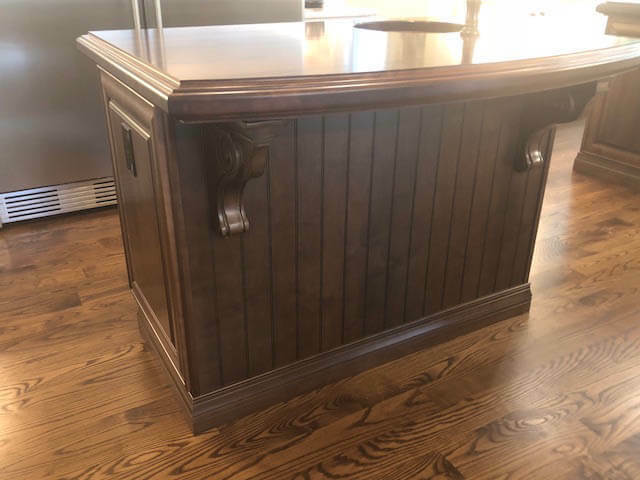 The tops were stained to match the island cabinets, creating an interesting look. They now appear more like furniture pieces than basic kitchen cabinets which adds to the overall appeal of the space. This kitchen is a small testament to the fact that not everyone uses all white and gray! 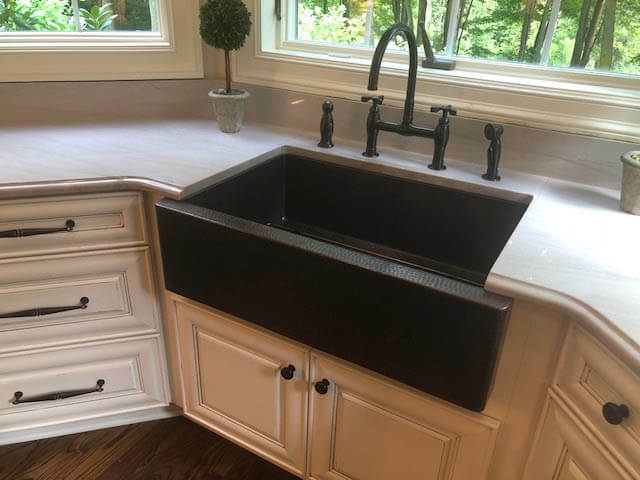 The decorative elements like the copper sink, pot filler, door end panels, tall crown molding, and oversized hardware add to the elegant yet stately look the client desired. 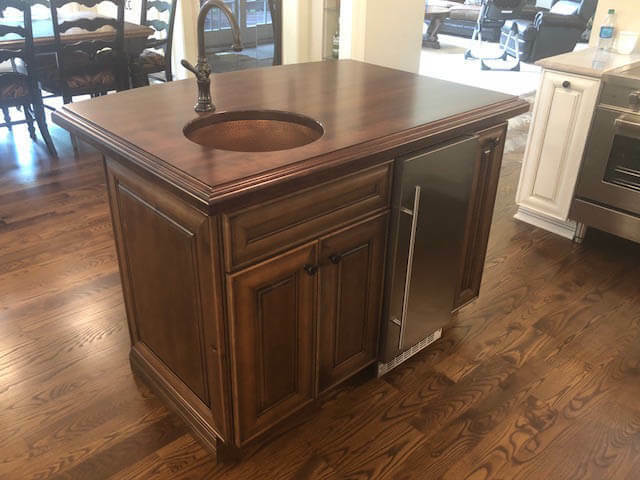 For extraordinary remodeling, consider using Cathie Emery, a designer at our Sims-Lohman Elyria, Ohio location.